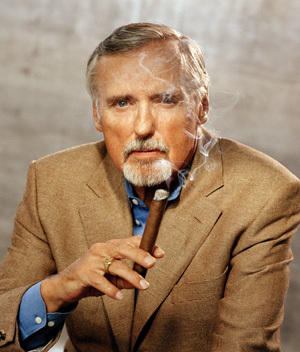 It was announced this evening that Dennis Hopper has died of prostate cancer. Whilst I am not familiar with many of his performances, I am with everyone else in mourning the tragic passing of such a fine actor. Although I never saw the definitive Dennis Hopper Movie "Easy Rider", I was impressed by his performances in such films as Apocalypse now, and even Speed. But the one scene he did which truly stuck with me was the imfamous "Sicilian Scene" from True Romance. And so, to Honour the passing of this great screen legend, I decided to release a scene from the movie "Trent Steele: The Will to Kill", which I dedicate to the memory of Mr. Hopper. I'll win that Oscar yet!